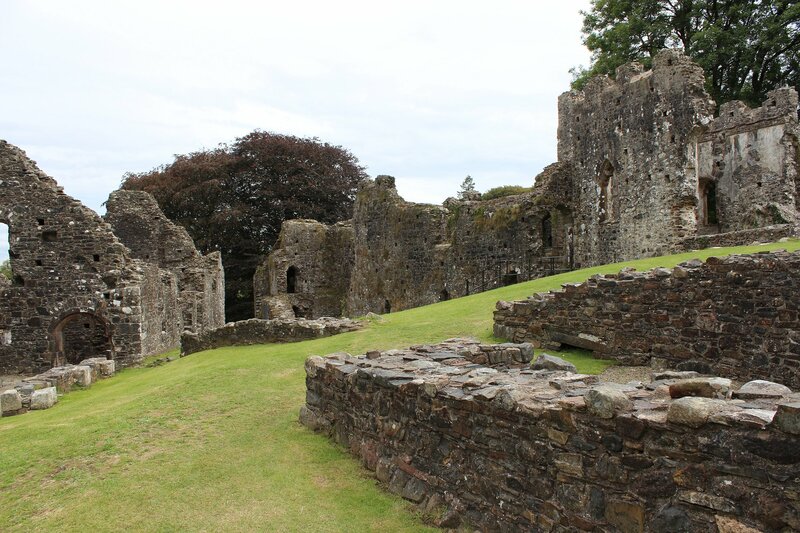 The town of Okehampton used to be a key point on the route of the Atlantic Coast Express to Bude and Padstow, as well as providing an inland route to Plymouth across the fringes of Dartmoor. It must have been wonderful to stand on the platform and see the unmistakable profile of a streamlined West Country Class locomotive approaching with an express. 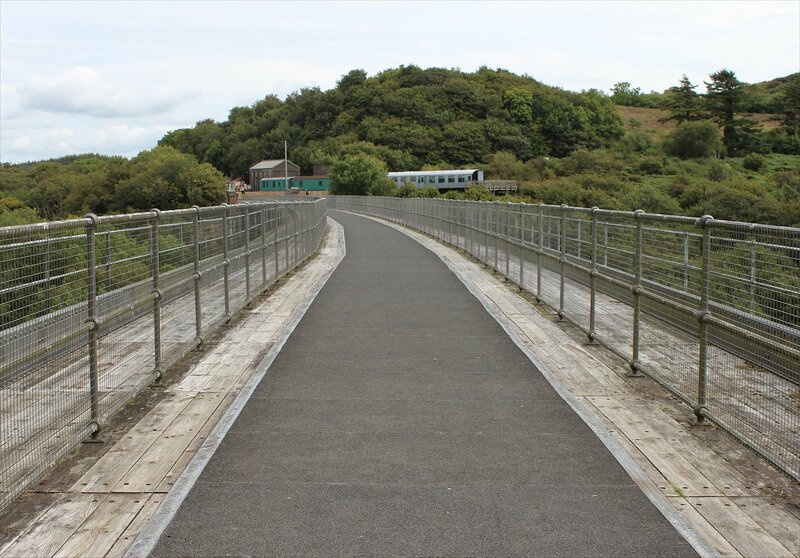 The through route to Plymouth closed in May 1968 and the track bed between Meldon and Lydford has been re-opened as a cycle path known as ‘The Granite Way’. 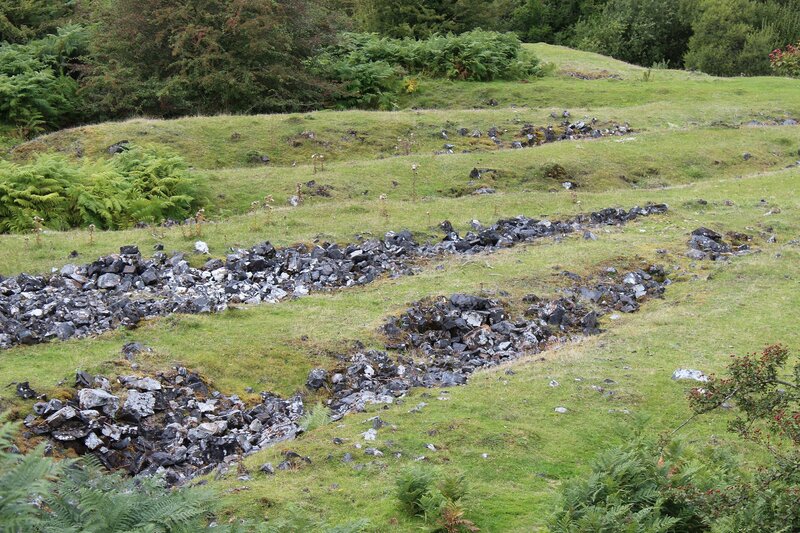 Passenger services continued to Okehampton until June 1972 but the existence of the quarry at Meldon protected the line from complete closure (stone trains continued to operate until the mothballing of Meldon Quarry in 2011). On summer Sundays it is still possible to retrace a small section of the route between London and Plymouth. First Great Western operates a single carriage service between Exeter St Davids and Okehampton on four return trips between late May and mid September, but only on Sundays. We took the first train of the day and it was busy, but not overflowing. 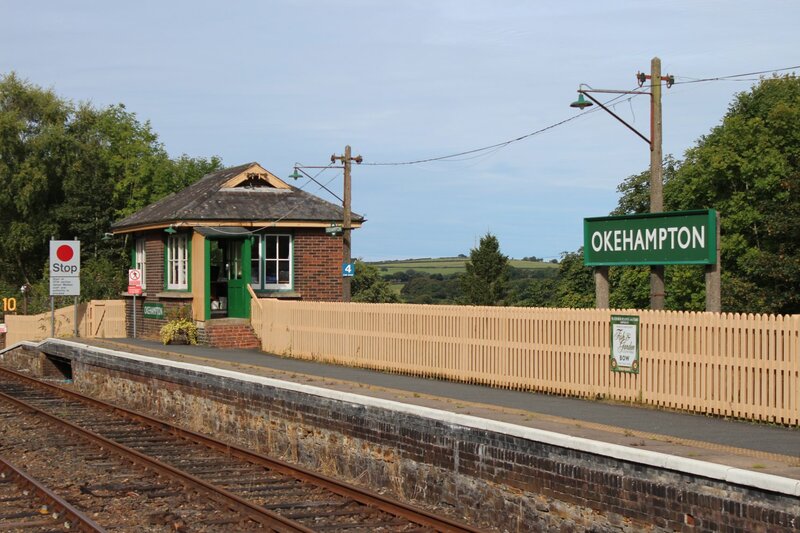 Okehampton station has been gloriously restored to its former glory as a far flung outpost of the Southern Region with a buffet that serves up the most stunning homemade cakes and scones. A small room on platform 2 houses a rather wonderful exhibition on the history of the railway from 1871 to the present, illustrated with many photographs of the line in its heyday. At Okehampton we were able to join a thumper (a BR Diesel Electric Multiple Unit) operated by the Dartmoor Railway service which took us a few miles further to Meldon Quarry station. 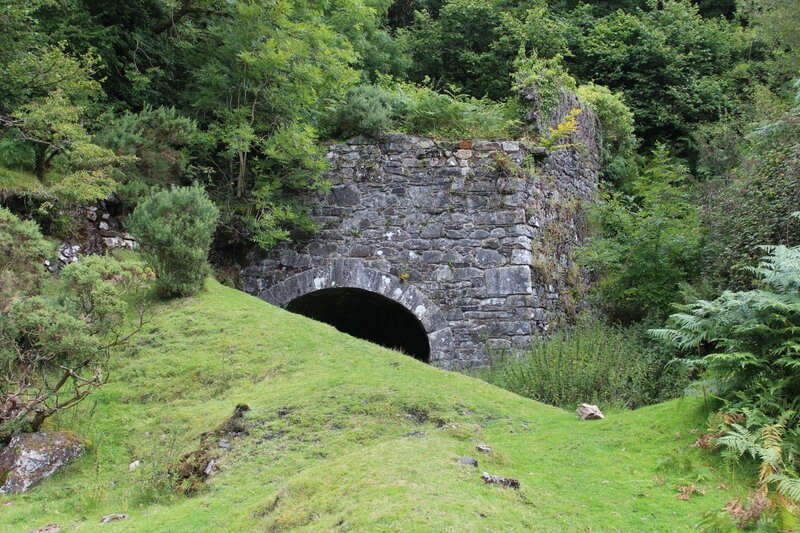 This station is the gateway to some wonderful walks with the opportunity to see some of the long since abandoned quarries, a couple of limekilns, a dam and reservoir. Beyond all of this lies the peaks of Yes Tor (619m) and High Willhays (621m) which are the highest points on Dartmoor and in southern England. 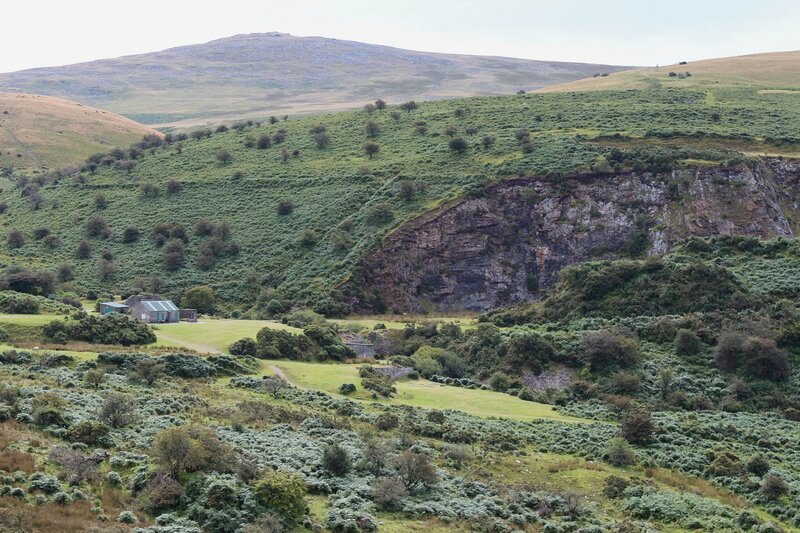 Although it is possible to hike out to the peaks, so long as the firing range is not in use, we settled for a more relaxed wander around the Meldon landscape – enjoying impressive views of Meldon Viaduct and Meldon Dam. 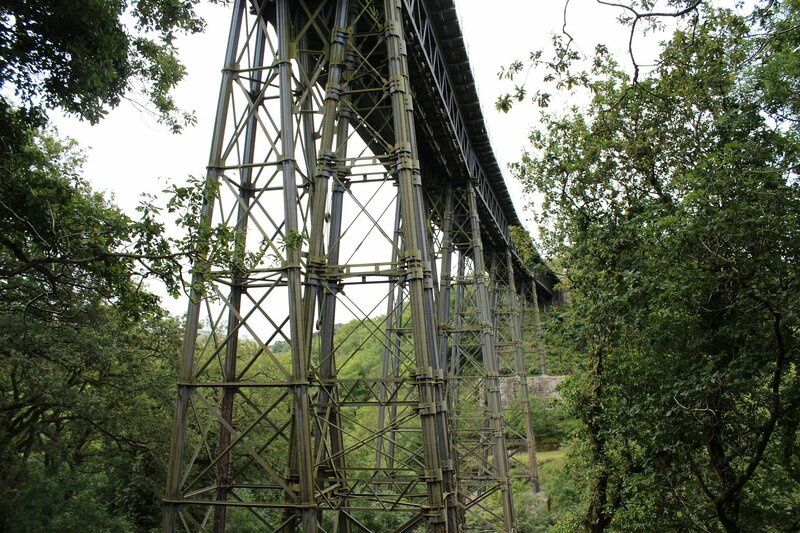 The wrought iron girder truss viaduct at Meldon was originally built for the London & South Western Railway in 1871-1874 and was soon expanded to cope with the increase in traffic on the line. 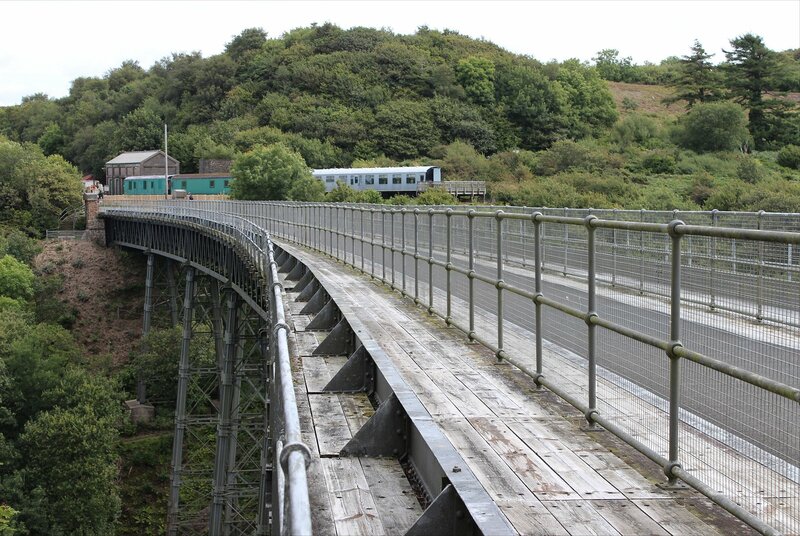 The closure of the line to Plymouth in 1968 did not immediately end the working life of the viaduct as it was still used as a headshunt for quarry trains for some time after. However, in 1990 it was determined that the viaduct could no longer support the weight of a train and the track was lifted. Today, the viaduct has become a rather spectacular section of the Granite Way offering some wonderful views out towards Yes Tor. The collapse of the sea wall at Dawlish earlier this year has once again brought the question of a diversionary route to the fore, particularly with an estimated cost to business of £20 million per day. 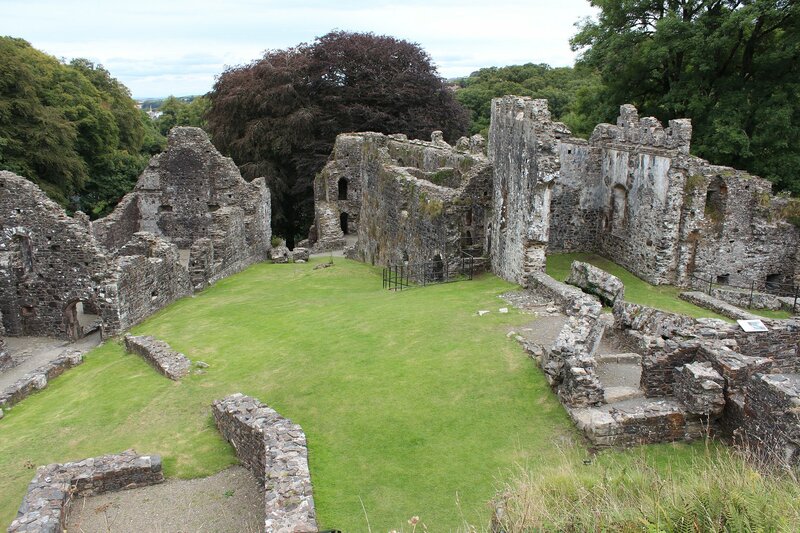 One of the options under consideration is the re-establishment of the London & South Western Railway route to Plymouth via Okehampton. 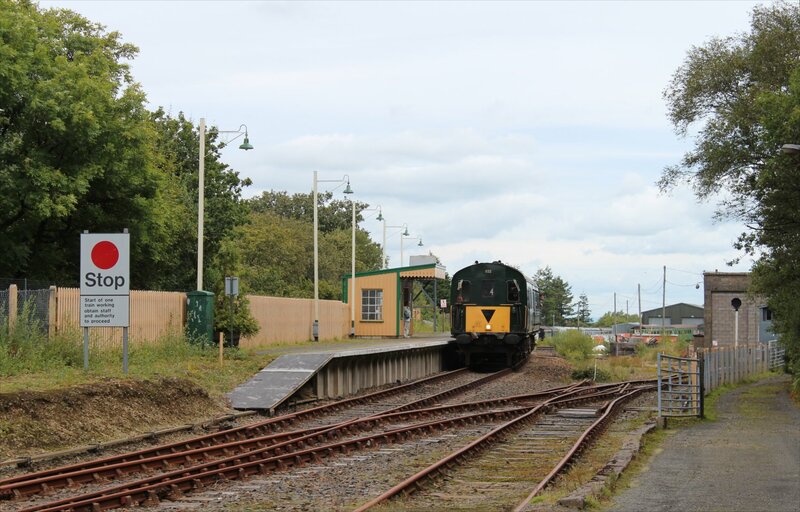 The options for a diversionary route were explored in the West of Exeter Route Resilience Study which was published by Network Rail in July 2014. 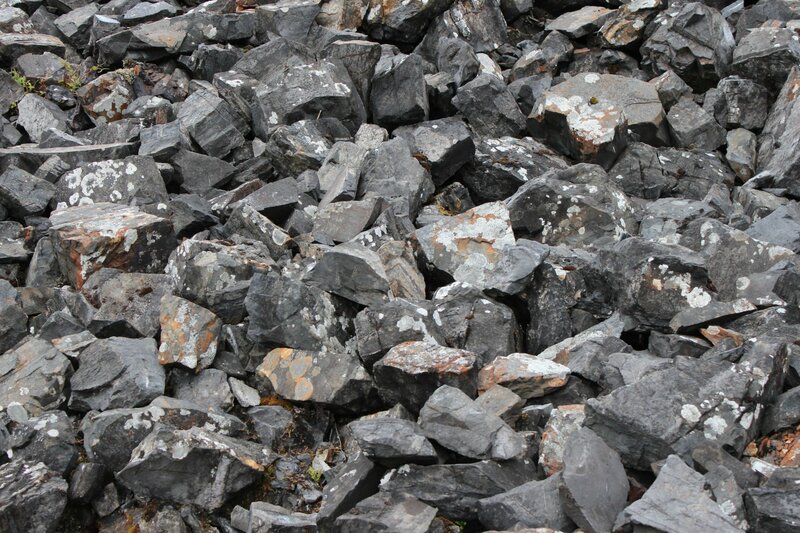 The rebuilding of a double track line from Exeter to Plymouth via Okehampton was estimated to cost £875 million, though the alternative of a single track line with long loops (up to 5km apiece) would reduce the cost to around £655-700 million. 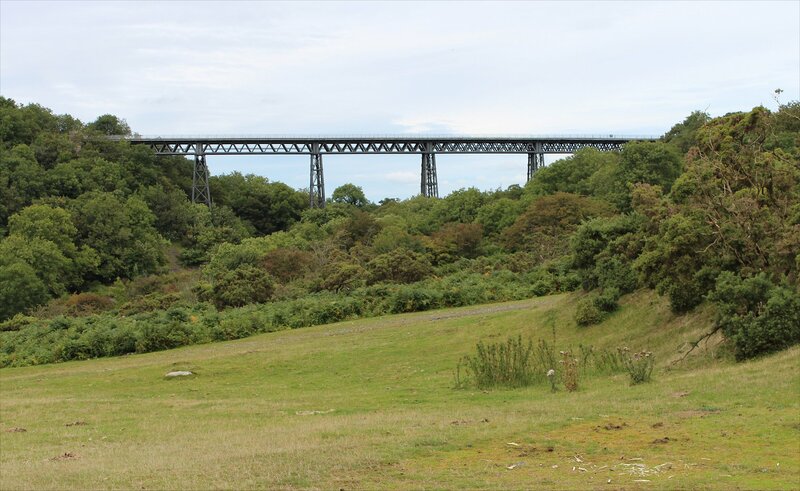 The report also concluded that the Meldon viaduct was ‘too badly deteriorated for re-use’ and envisaged the construction of a new structure adjacent to the existing viaduct. It is not the first time that re-opening this line has been mooted. British Rail also looked into the re-opening of the London & South Western Railway (LSWR) route to Plymouth in the 1990s but whilst they considered this to be viable no further action was taken. It will be interesting to see whether this option (or any of the alternative diversionary routes in the study) is taken forward this time. The report assessed the benefits and costs ratio for all the options and they were all found to offer poor value for money, which doesn’t sound terribly encouraging. 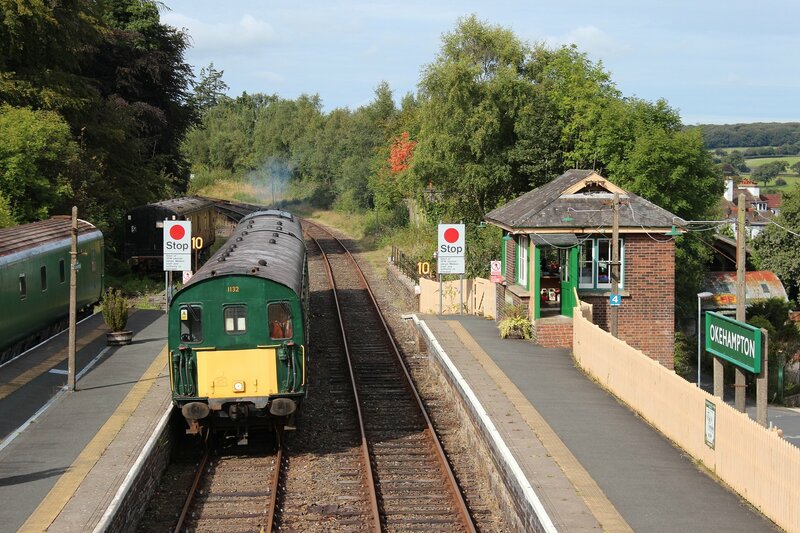 However, the option of re-opening of the LSWR route offers the possibility of opening new markets in Okehampton, Tavistock and the surrounding areas. 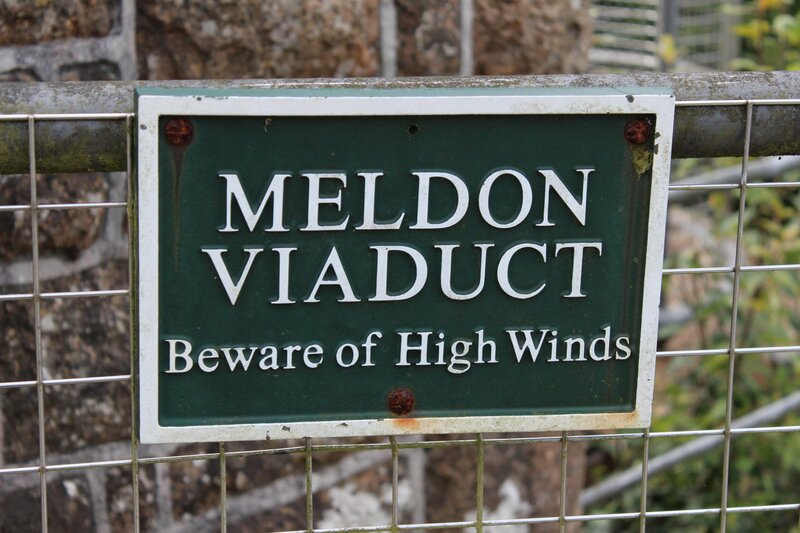 It has been striking to see just how much the re-opened branch lines in Scotland have exceeded all usage predictions – maybe just such a story waits to be told in Devon?